In 2019, PayPal no longer supports withdrawing of funds to a Chinese Bank account in Yuan (CNY), previously possible in partnership with Lianlian Pay. Read this post for detailed information, as well as find out alternatives! 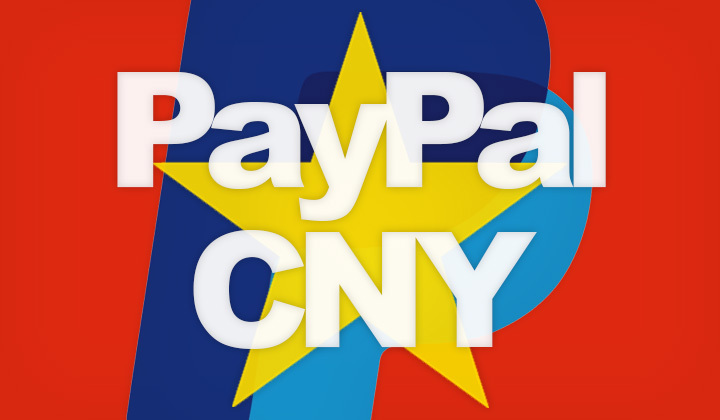 PayPal is a popular choice amongst online businesses in mainland China, as a payment gateway for foreign customers purchasing products and services. Largely thanks to collaboration with Lianlian Pay which provided a flat 1.2% fee for withdrawing those funds to all major Chinese banks. You could charge customers in USD and have the money transferred over to your bank account in China within a week in Chinese Yuan CNY currency (also known as Renminbi). You can find current seller fees for China based customers here. Also, previously you could withdraw multiple times without having to worry about expensive fees. Now, besides the only option of withdrawing in USD there is a fixed fee of $35USD per transaction to Chinese bank accounts. This means, that to cover the same fee as previously you need to withdraw no less than $2917 at a time. Therefore making smaller withdrawals more expensive. Besides using an alternative payment gateway, you can use an intermediary bank from where you can obtain an “e-card” or electronic bank card number which you can connect to your regular Chinese bank account. Withdrawing funds from PayPal to the e-card in USD, they will forward the money in CNY to your bank. Which will cost you an extra 12USD or more. There are a few companies located in Chongqing, China. The first company to facilitate withdrawal of PayPal funds in CNY to Chinese banks is Fesco. And even though they no longer collaborate directly with PayPal due to the lack of required formal licensing, you can still use them. Similar system without transfer limits. In recent years, PayPal and Lianlian Payment have provided high-quality cross-border payment services for many cross-border e-commerce sellers in China through friendly cooperation and joint efforts. Based on the respective development directions of the two parties in the future, and through friendly negotiation, PayPal and the successive payment decisions jointly decided to stop the fast RMB withdrawal business from July 1, 2018. China’s PayPal users can still withdraw to the Chinese bank account in the form of US dollars by wire transfer, and complete the settlement through the bank. Reasons to increased complications of transferring USD funds from overseas to mainland China are likely influenced by trade disputes with the USA. Any questions or suggestions on dealing with PayPal in China? I’m happy to receive your input in the field below. Thank you for reading, David.